Safe- Title remains in your name; your heirs may keep the property provided the reverse mortgage is repaid in full. Secure- Cash received is Tax-free and will not affect your Social Security or Medicare. Simple- No income or credit qualifying. Options-You may receive the funds as a lump sum, line of credit or monthly payment to you. Growth- Funds available from a line of credit actually increase with time. Freedom- NO MONTHLY PAYMENTS REQUIRED- AND NO PREPAYMENT PENALTY. A reverse Mortgage pays you. No repayment is required as long as your home remains your primary residence. Unlike a traditional loan or line of credit, you do not need income or a good credit rating to qualify. This means you may use your home to your advantage, like a second retirement fund. A reverse Mortgage can provide you with financial independence and peace of mind. DO I have to Transfer Ownership to the Lender or FHA? NO! Title and all rights of ownership remain in your name. Can I Leave My Home to My Heirs? You may leave your property to whomever you wish. It is your home. You decide what happens to it. Your heirs have the option of selling or keeping the home, paying off the loan in cash or by refinancing. 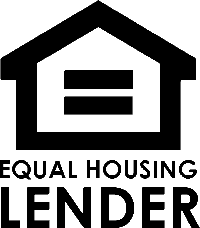 FHA and the lender have to claim on the remaining equity. There is no prepayment penalty. What if I have a Mortgage or Liens against My Home? You may still obtain a Reverse Mortgage as long as the loan proceeds you are eligible to receive are enough to pay off the existing mortgage or lien. Will My Spouse continue to receive the same amount of Benefits if I Die? Yes, as long as you are joint borrowers when obtaining a Reverse Mortgage. Will a Reverse Mortgage affect my Proposition 13 Property Taxes? No. your property tax will not increase as a result of obtaining a Reverse Mortgage. I am receiving Social Security or Medicare benefits. Will this affect my benefits? No. Benefits and eligibility are not affected. A reverse Mortgage is very flexible. You may receive funds as a lump sum, line of credit or a monthly installment paid to you. You may even choose a combination of payout options and make changes at any time. The rate is based on the one-year U.S. Treasury yield. All FHA Reverse Mortgages follow this index. Interest is charged only on the amount you have received. Are there differences among the Lenders who offer this program? Yes!! Recently, there has been a great deal of media focus on Reverse Mortgages, but they have been available since 1989. Newer lenders might not be familiar or experienced enough with the program. It is important that you place your trust in a firm whose personnel have worked exclusively in Reverse Mortgages for many years. You know that your loan will be handled with care and professionalism you deserve. Central Coast Home Loans have been providing Reverse Mortgages since 1999. If there is more information you need regarding a Reverse Mortgage, please call Patrick Hennessy to set up a free private consultation.